Tuscany is a special region, as anyone who has ever visited there will tell you. There are more popular visitor destinations in Italy – Rome and Venice certainly attract more visitors per year – but Tuscany is the only region that has found fame, as most visitors to Rome won’t know it is in Lazio, or that Venice in in Veneto. No, it is the spectacular rolling countryside of Tuscany as well as its Renaissance cities that has made it such a star, and to many, the quintessential Italian landscape. Issue 116 of Italia celebrate that rural idyl, with an overwhelmingly atmospheric cover showing sun rising over the Tuscan landscape. 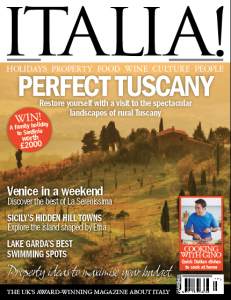 This is just one of the many treats you can enjoy on visit to this special region, and the issue explores the delights of a walking holiday amid the Tuscan hills. 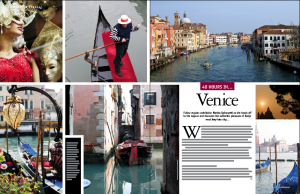 Continuing to explore Italy’s much loved treasures, Marina Spironetti is showcasing her essential itinerary for 48 hours in Venice – in Veneto! If you are a photographer, as Marina is, there are very few places better to visit with your camera to capture the colours and spectacles of the city. 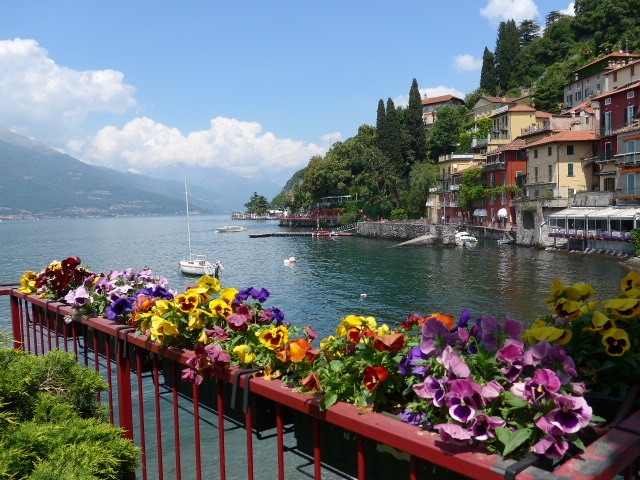 Marina also guides you to the tucked away bars and trattorias where the Italians in the city like to frequent, so avoid the tourist traps and make the most of your visit with her essential guide. 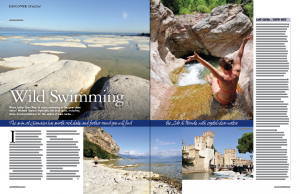 For more advice for discovering the lesser known gems of Italy, we are showcasing the best places to go wild swimming around Lake Garda with directions and locales from the new book, Wild Swimming. This guide will help you find hidden beaches and blue waters of the lake that you can have all to yourself. Italian gems indeed. 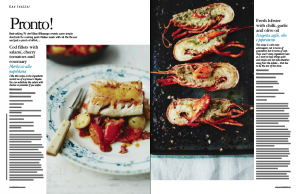 For culinary gems, take to the kitchen with advice from Gino, with a selection of recipes from his new collection, Pronto. Who would have thought big Italian flavours could be melded so seamlessly together in so little time. Gino’s been cooking with lobster for summer, which was particularly fun to recreate in the Italia test kitchen. Look out for our new Vodcasts coming from the Italia test kitchen – coming to our YouTube Channel, ItaliamagazineTV soon! The issue will be on sale in the UK from 12 June 2014, so look for it in WH Smiths and all good newsagents.